Corn is starting to show up in the grocery stores in my urban habitat. What I am used to this meaning: figuring out which store has the yellow corn this year, not the white corn that is most prevalent. This is what I’m looking for. So far this year, nobody has it. Instead, they have white corn. What, you ask, do you have against white corn? Well, just that it is bland, flavorless, and tastes more like sugar than anything else. It doesn’t taste like corn. It doesn’t have that corny corniness that is corn. White corn is sweet baby food. Yellow corn is corn. So where is all of the yellow corn? Is the white corn early, greenhouse-planted corn, earmarked (no pun intended) for the supermarket? Is it all white because that’s what most people seem to want to buy? Is the yellow corn still all in the fields, is it going to be late summer before I see any? Is it all being made into ethanol to add to gasoline? 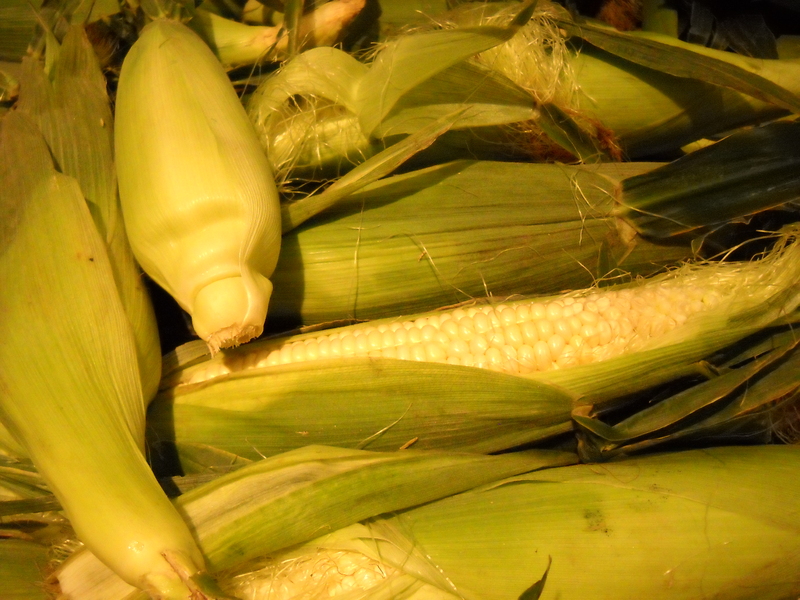 Is the less desirable yellow corn all slated for export? Is it all being turned into syrup to make soft drinks and bread and… well, that crap seems to get added to damn near everything, I wouldn’t be surprised to learn it was in the ground beef, too. Maybe I should have my eye on the field corn being grown in the fields right outside of town, waiting to be made into animal feed because it’s too starchy for my fellow Americans’ taste… which is itself sort of odd, because we’re all about potatoes, and it doesn’t get much starchier than that. I bet that field corn is the corniest tasting corn that ever corned. Norfolk, Virginia: Do You Care? and I so prefer the white…maybe it is the sweetness??? but,it’s so good!